Chapter 7 bankruptcy is what people traditionally think of as bankruptcy. When you file for Chapter 7 bankruptcy, you discharge all of your debt and pay nothing back to creditors. It is truly a fresh start. With a chapter 7, you typically pay nothing to the trustee and keep you tax refund money. Chapter 13 bankruptcy is a repayment plan. 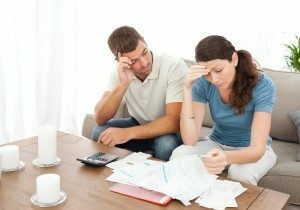 How much debt do I need to have to file for chapter 7 bankruptcy? There is no minimum or maximum amount of debt to file a chapter 7 bankruptcy. If you exceed these limits, you can pay the trustee the difference or file for chapter 13 bankruptcy. Your exemptions at provide for in the United States Bankruptcy Code. Yes, Under chapter 7 bankruptcy law you can keep your home and cars and continue to make payments. Typically the creditor will require that you are current on the payments and that you have insurance. Almost all of your debts are discharged in a chapter 7 bankruptcy. Medical bills, credit card bills, law suits, repossessed vehicles, foreclosures, passed due rent, utility bills, pay day loans, cash advances, and personal loans. Typically, taxes and student loans cannot be discharged. What is the process to file chapter 7 bankruptcy? The process to file for chapter 7 bankruptcy is easy with the help of a great bankruptcy attorney from Krupp Law Offices. Just call for an appointment. We will review you case on the phone. If it appears that we can help, we will set up a free appointment. After your appointment, will prepare your bankruptcy petition and have you sign it. It is filed with the court. About 5 weeks later there is a meeting with the trustee. We attend that meeting with you. After your meeting with the trustee, there is a 60 day waiting period. You then will receive your discharge in the mail. It’s jus that easy. Typically a chapter 7 bankruptcy costs 1,350.00 (which includes the filing fee). Our offices charges nothing for the first appointment. How long does it take to file and complete a chapter 7 bankruptcy? A chapter 7 bankruptcy usually take about 90 days from start to finish. You will have one meeting with the bankruptcy trustee to review your case. You will not have to go in front of a bankruptcy judge. There is a 60 day waiting period after your meeting with the trustee. How will chapter 7 bankruptcy effect my credit and future? After your chapter 7 your credit will start to improve. You credit should be back to a normal level within 24 months. Your credit should continue to improve over time. Who can I talk to about chapter 7 bankruptcy? You can speak to a bankruptcy lawyer immediately to review your specific case. We offer a free consultation to review your case. How do I get started with my chapter 7 bankruptcy?